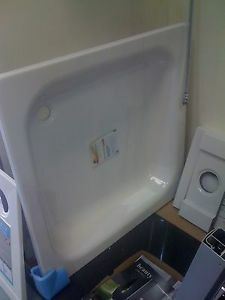 We have various items that we need to clear on eBay so that we can refresh our showroom display. Some of these items are customer un-required/cancelled items and some are Ex Display items that we have had here on display. 331738906850 (reclaimed traditional white basins and some pedestals. 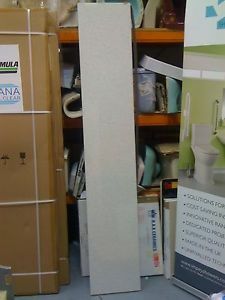 Ex Display Kaldewei Advantage Sanidusch 800 x 800mm Shower Tray. We need the space so why not pick up a bargain today at List – 50%....!! Buyer to collect please, thank you for considering this item. With their modern, clean lines, the SANIDUSCH shower trays are bathroom classics. The SANIDUSCH is available not only with moulded apron and in different depths, but also in variable widths and lengths in either rectangular or square shapes. With many different sizes, SANIDUSCH can easily be integrated in different room situations. 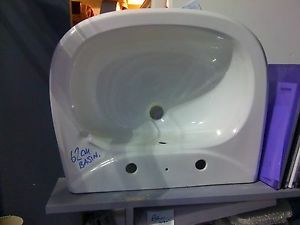 Vessel Sit On Basin Only 460mm diameter. 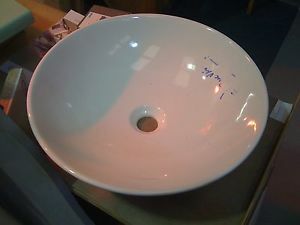 Large white basin.62cm wide x 2 taphole white basin. New and unused item - Surplus item to our requirement, hence the discounted price.....:normally sells for £60! Cooke & Lewis Stella Dust Laminate Worktop 2000mm x 28mm thick x 365mm wide. Square MAT BLACK steel shower tray. 90cm x 90cm x 30mm thick steel shower tray in MAT BLACK. EX DISPLAY 900 x 900mm square shower tray, in very trendy Matt black, why not pick up a bargain today at knock down price...!! Buyer to inspect and collect please, thank you for considering this item.